Two beautifully maintained duplexes (fourplex) near Halcyon Park. Low maintenance yards( front, sides, and rear). 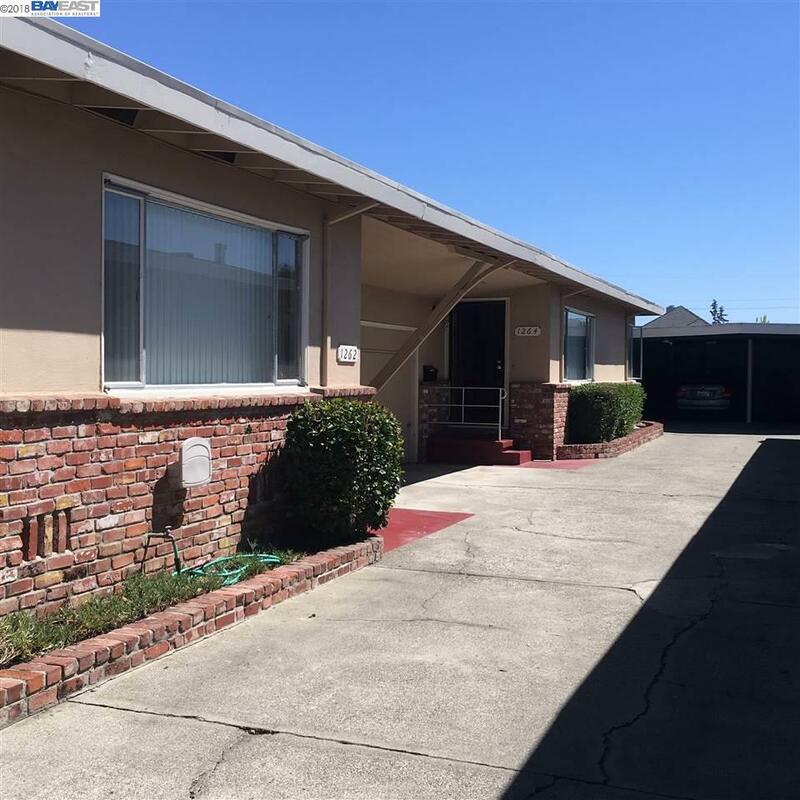 Each unit has 2 bedrooms, 1 bath, an attached one car garage (with laundry connections and sink) plus a one car covered carport space in the back of the lot. Units 1262 and 1264 have remodeled kitchens and bathrooms done in 2014 and 2015 . (1262 has new wall furnace and new bathroom floor) Unit 1264 has a new bathroom floor and has just been rented for $2200 per month. The back units (1258 and 1264) have 2 large cement patios (on each side of the carport). Centrally located near schools, freeways, public transportation, shopping, and dining. Units 1258 - 1260 plus units 1262 - 1264 have new roofs put on November, 2018.